I am sure you have realized by now, I love Peanut Butter! It's perfect on toast for breakfast, on crackers for a snack, and of course in any of a bazillion desserts! When taking a break from my hundred outdoor summer tasks last week, I was reading through one of the "Taste of Home" cookbooks that my grandma passed to me. 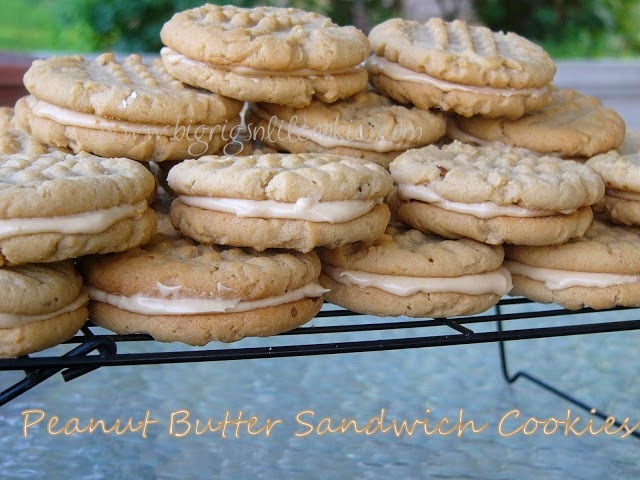 In it, I found my newest cookie adventure... Peanut Butter Sandwich Cookies. This is such a delightful cookie! And tasty filling! As much as we love our cookies in this house, one sandwich is usually enough! 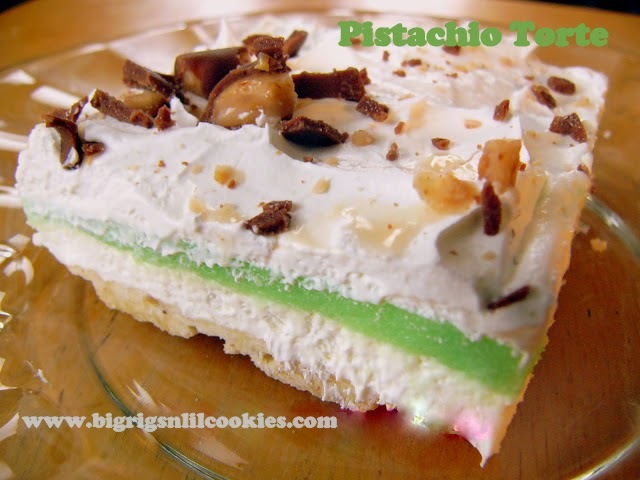 In a large bowl, cream shortening, peanut butter and sugars until light and fluffy. Add eggs, one at a time, beating well after each addition. Add Vanilla. Combine the flour, baking soda and salt; add to creamed mixture and mix well. Shape into 1-in. balls and place 2 in. apart on ungreased baking sheets. Flatten to 3/8-in. thickness with fork. Bake at 375° for 7-8 minutes or until golden. Remove to wire racks to cool. For filling, in a large bowl, beat the peanut butter, confectioners' sugar, vanilla and enough milk to achieve spreading consistency. Spread on half of the cookies and top each with another cookie. ***Note*** I matched the cookies up before frosting so that they would each have the closest sandwich mate possible. Yummy! I could see myself eating a few of these with a tall glass of milk, maybe more than a few. When I make them, I'd better make then small so I don't feel so guilty! Pinned. Thanks Joan! Yes, a tall glass of milk is almost a requirement with these! I'll be trying your Devils Food Cupcakes with the Peanut Butter Frosting! Love the Reese's to top 'em off! G'day! YUM! Could go for one right now!